Add a pop of colour to your winter wardrobe with this stunning Ruffle Sleeve Dress. The perfect addition to your collection of AW18 staples, this ruffle sleeve dress is totally on trend right now and the detailing to the sleeves helps create a really chic finishing touch. 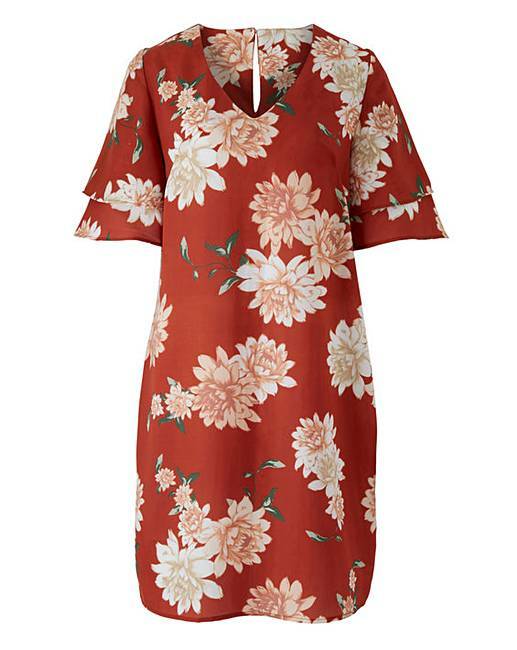 Cut to a flattering shape, this dress is adorned in beautiful paprika-coloured print and can be styled up or dressed down easily to suit the occasion. 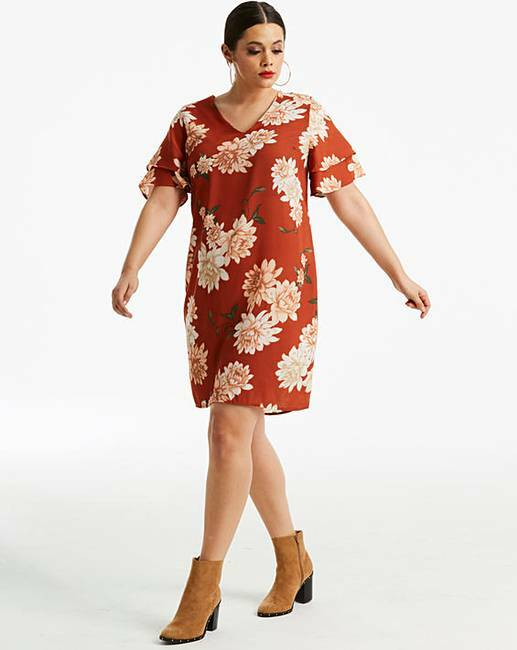 For a party perfect look that's sure to bag you a few compliments, team this dress with a pair of pointed heels and stow your essentials into a cute clutch bag.